We also look to the new season’s Regulations and the list of those who will be competing for the 2019 title – the 38th (!) since the Championship started at Snetterton on Good Friday, 1982. In the meantime, here is a catch-up on some of the other happenings in the world of Alfa Romeo motorsport over the past few weeks. The Sauber team continued to impress as the season drew to a close with the Brazilian and Abu Dhabi Grand Prix following on from the euphoria of Lewis Hamilton’s 5th World Championship wrapped up in Mexico and a double points finish there for Leclerc and Ericsson. Brazil saw Marcus Ericsson outpace Leclerc in qualifying, ending up a best ever 6th fastest to line up on the third row of the grid alongside Max Verstappen’s Red Bull. Charles Leclerc was inspired in Q2 however when, despite light rain, ignored the team’s instruction to pit and then enjoyed an outstanding lap to take him into Q3. Sadly, a small mistake in the final session left him back on the fourth row with Romain Grosjean’s Haas-Ferrari. The 71 lap race started badly for the team when a piece of rear bodywork around the diffuser came adrift on Ericsson’s car and had to be repaired on the grid with superglue! He suffered more damage on lap 1, later spun and then retired after only 20 laps. Meanwhile Leclerc was enjoying a very strong race, moving into 4th place before all the pit stops sorted things out, eventually going on to finish a splendid 7th and leader of the unofficial midfield “Class B”. Two weeks later it was on to Abu Dhabi for the night race on what should be a circuit capable of producing some exciting racing but rarely does. Leclerc made it into Q3 but just failed to beat Grosjean to the midfield pole. Ericsson, in his last race for the team, couldn’t maintain his recent qualifying form and would line up 12th. In front of the large and enthusiastic Abu Dhabi crowd. Leclerc would again demonstrate his class and show why he has been chosen by Ferrari as team mate to Sebastian Vettel, running with the leaders until an early stop dropped him back into traffic. Thereafter he drove hard for his 7th place, not being able to keep pace with Carlos Sainz’s Renulat and nearly being caught by Sergio Perez (Force India). After 25 laps, Ericsson was running 8th but then suffered an engine problem which brought about his retirement. So, with 21 races completed, Leclerc was left 13th in the main points table, two clear of Romain Grosejean and 7th in Class B which was “won” by Nico Hulkenburg and Renault. Ericsson would finish 17th. In the Constructors Championship, Sauber would end up 8th ahead of Toro Rosso-Honda and Williams-Mercedes. Two days later, the team was in action again at a Pirelli test session that saw Kimi Raikkonen settle into the cockpit of a Sauber for the first time since 2003. 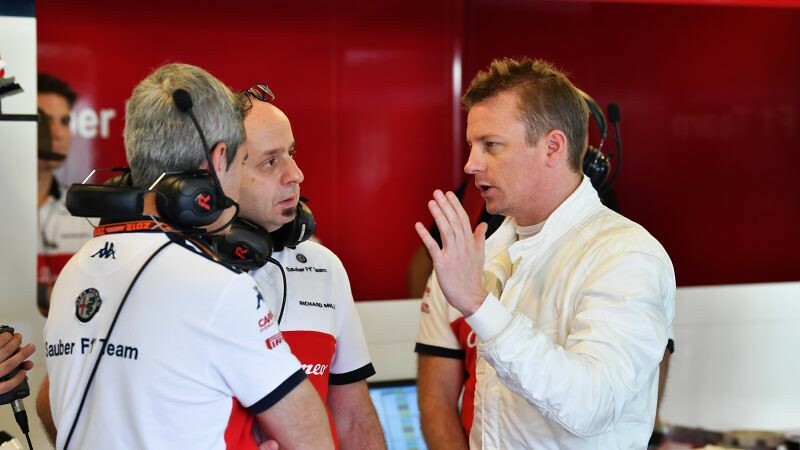 This was purely a familiarisation exercise for Kimi while Antonio Giovanazzi took over later in the test. Many Touring Car drivers reckon that the Guia circuit on the old Portuguese colony of Macau, now part of China, is the most challenging track in the world- fast, narrow and often dangerous. Rob Huff, however, has been probably the most successful of all in recent years but this year although quick in qualifying could not take a win. For Alfa enthusiasts, there was a little nostalgia as 56 year old Gabriele Tarquini (1994 BTCC champion with his 155) emerged as the 2018 Champion, but sadly not representing Alfa but Hyundai. The Team Mulsanne Alfa Giuliettas were there, however, for Suzuka winner Kevin Ceccon and Italian TCR runner-up Gigi Ferrara. Both drivers ran well in the top 10 with Ceccon’s best finish 4th in race 2 and Ferrara 9th in both races 1 and 2. 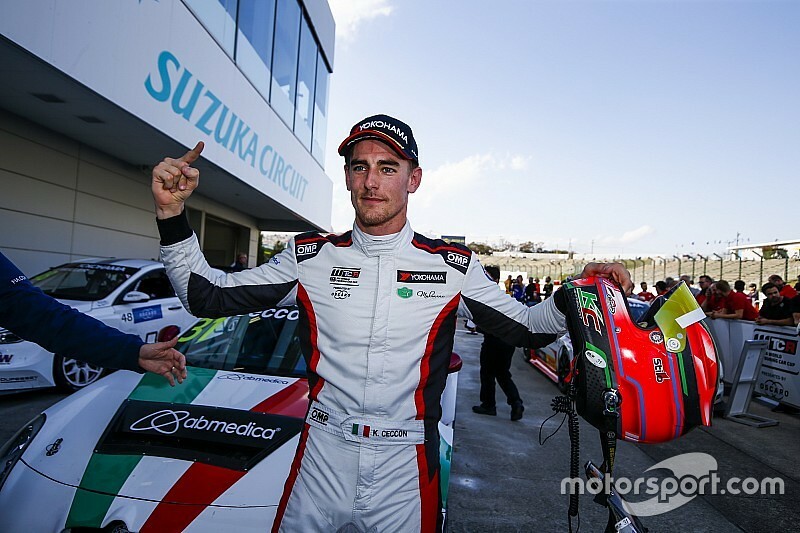 It remains to be seen whether Alfa will be seen in WTCR again in 2019 and, if so, what Romeo Ferraris can do to give that much needed to boost to turn the Giulietta into a regular front runner. 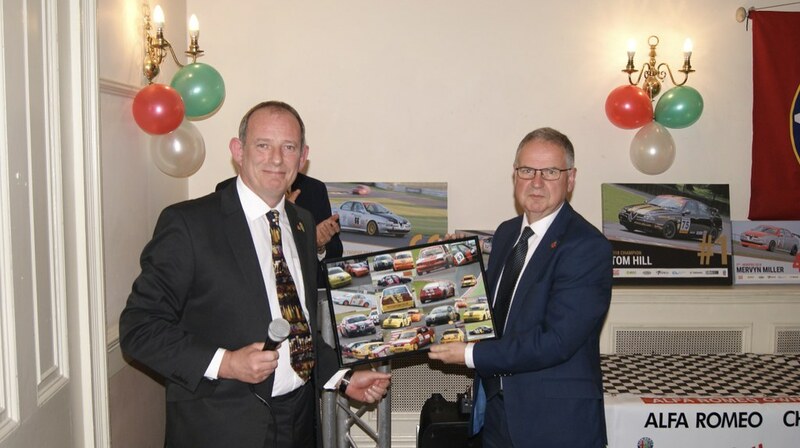 It was good to see Chris and Jan Healey at the November awards dinner where Chris was presented with a picture collage of his time racing in the Alfa Championship. The end of the 2018 season brought a milestone for us – the retirement of the Healey family (or rather the Healey and Freeman families) from racing. 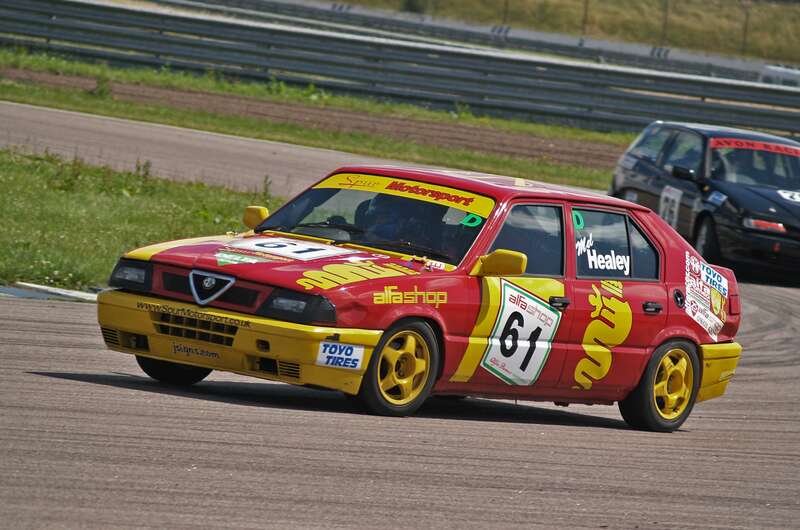 In the Alfa Championship their involvement goes back to 2002 when Mel Healey, as she was then, drove Ian Brookfield’s red and white Alfasud Ti at Snetterton. Thereafter, she competed in ten of the seventeen races, including a visit to Croix-en-Ternois where she scored her first points. 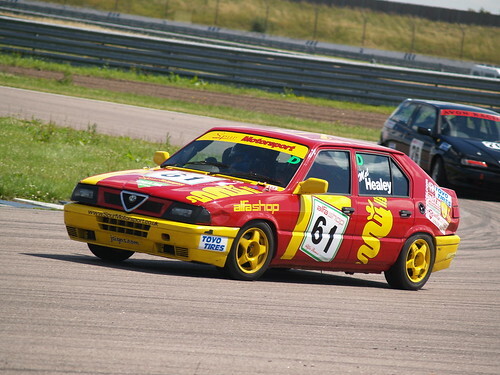 In the Alfasud Cup, Mel finished as runner-up behind Jeff Kite’s Sprint. 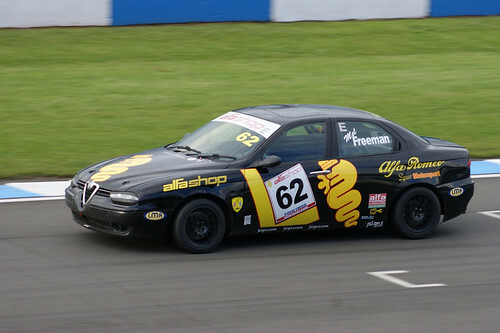 The following year, father Chris joined in with an Alfasud Sprint for a couple of races and the name of Alfa, and later SEAT dealers, Spur, became familiar to us all both on the bodywork of Chris and Mel’s cars but also on those that Spur supported in various ways driven by Ian Brookfield and Matt Daly, whether they were Suds, 33s, the team 156 or “Big Yella” the well known ex Tony Soper 164. Things got more serious in 2004, Chris taking 3rd place in the then Class C gaining a 2nd place finish at Pembrey with a 33 16v while Mel ended 10th in the well populated Class F with another 33. Chris repeated his result in 2005 but Mel moved up to 6th in F aided by a couple of 4th places at Cadwell and Snetterton. The following year was a quieter one with Mel only racing once and Chris switching to F, one race taking him to 4th at Brands. It was back to Class D for Chris in 2007 and here he came up against some strong opposition in the shape of Mark James, Wayne Ashford, Phil Astell and Emma Karwacki in similar 33s, but still managing a best 4th place finish at Snetterton. 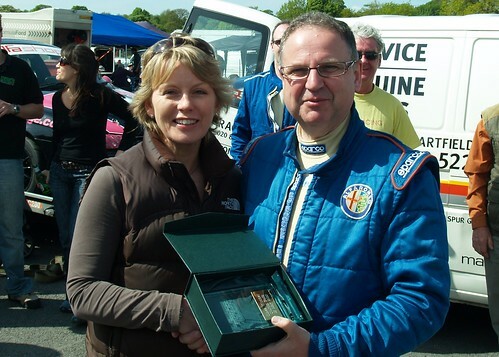 Mel was itching to get back to racing and for 2008 both enjoyed reasonably active seasons, to finish 5th and 6th in Class D – won by Paul Plant’s 33 16v – with highlights being excellent 2nd place finishes at Snetterton and Donington. Mel was now regarded as a class front runner but with several drivers switching to the new Class E, including father Chris with a 156, Class D was not as busy as it had been. Nonetheless Mel shone all season, competing in every race (13 that year) to win the class by a huge margin. Perhaps more important, though, was that she ended 3rd overall and if there had been no dropped scores, it would have been 2nd behind Paul Plant who took the overall title. Chris Healey enjoyed his season with the new car, ending 5th in class, taking a resounding win at Rockingham and a second place at Oulton. Much thought over the winter saw Mel switching to the 156 and Chris buying a 3 litre GTV with which to compete in Class C. Without doubt this was to be the most successful year for the Healey family although it didn’t turn out quite as expected. Chris found the extra power of the GTV much to his liking but also faced very strong competition from Shaun Hazlewood’s similar car. Shaun dropped out mid season, leaving Chris to dominate proceedings until Graham Seager’s GTV appeared on the scene. 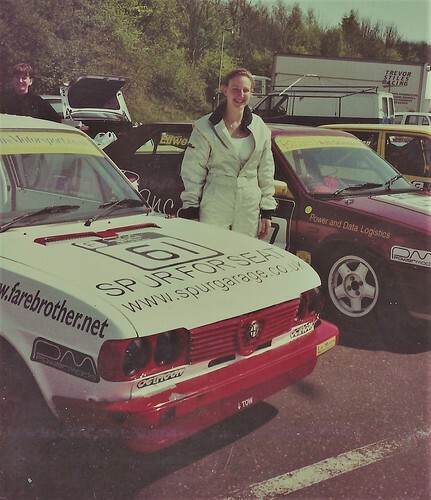 Mel found that she was soon at home with the 156, winning the class at Round 2 at Snetterton but having to wait until round 11 at Brands to be on the top step of the podium again. And then came the penultimate race at Silverstone. 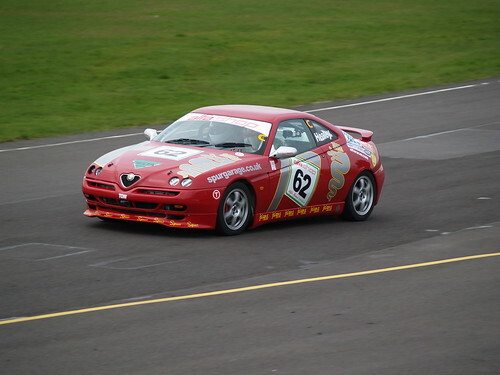 It looked as though Chris was going to win the overall title but qualifying was wet and while sliding off on the grass he hit a raised manhole cover that should not have been there and damaged the GTV to such an extent that it would not race again. This left Chris in a quandary. He could still win the championship if he was able to borrow another car for final single header round at Donington. However, his rival was daughter Mel! Eventually Chris was able to lay his hands on another 156 from Bianco but he was never really happy with it and could only finish 7th in E while Mel took 2nd to Chris Finch (156). As a result an excited Mel became our first woman overall champion. Chris ended 3rd behind Andy Inman (156). Nonetheless, 1st and 3rd in the Championship remains the best ever family result we have had – quite an achievement!- and also for Spur and Ian Brookfield and Gary Orchard who were always there to keep the cars on the track, not forgetting Joanne Brookfield who was always keeping the cars decals so smart. 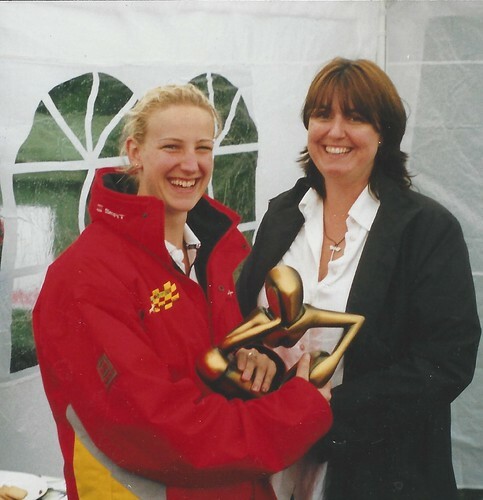 2011 saw Mel continuing to race and by mid season she was still well in contention again although Emma Karwacki was beginning to stretch her legs in a 147. 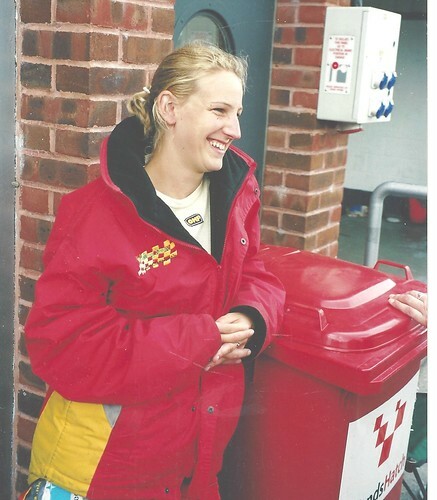 However, after Pembrey, in mid season, she decided to call it a day to concentrate on her upcoming wedding to Brad Freeman. 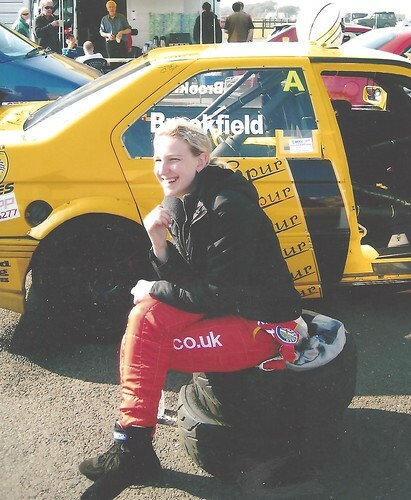 In 2014, with her daughters added to the family, Mel reappeared in the 156 and competed in four races with a best result of 6th in class at Donington, sharing the 156 with Chris who did 6 races with it, taking two 5th places at Snetterton and Anglesey. And so, to the present. After the closure of Spur Garage, Chris and Mel had retained the 156 and decided that they would have one last season with it in 2018. Without Ian and Gary on hand it was always going to be more of a struggle but between them they managed to compete at six of the eight double header meetings, with a best result by Chris (4th) at Snetterton in July. Mel returned for our second National circuit meeting at Silverstone to score one of her best results of the year (5th), repeating it in a last hurrah at Rockingham. Between the, Chris and Mel had scored over 100 points and if there had been the old shared driver on offer, they would have won it with ease! There is no doubt that we shall greatly miss having Chris and Mel on the track plus Jan and Brad in the paddock but we hope that we shall still see them at races from time to time, even if only to see how their old 156 gets on in the hands of its new owner, Andrew Bourke. Many thanks for all the time and effort you have put in over the past 17 years. Alfa engined single seater oddball! Over the years there have been many Alfa engines used in a variety of single seater chassis although there are not many that you could really call a success. 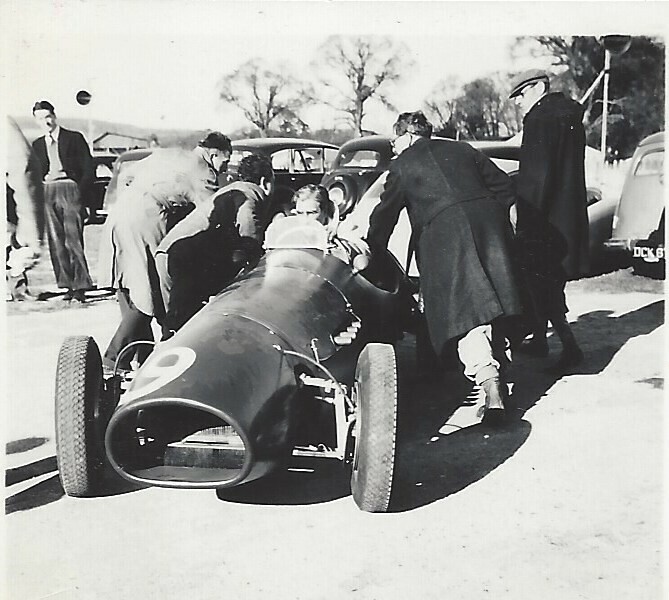 I was reminded of one of the strangest recently when looking through a photo album from the early 50s when I can across a picture of a Cooper that had been fitted with a 1900 engine for the 1953 season. Most of the type 24 front engine Coopers of that era were fitted with the 6 cylinder Bristol engine with a few, Stirling Moss included, using the 4 cylinder Alta as used by HWM. 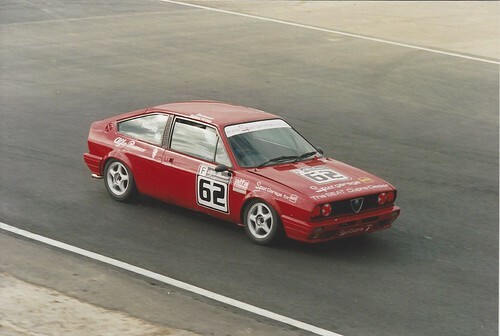 The Cooper-Alfa Romeo had been built up by well known driver of the day, Alan Brown and Bob Chase by Equipe Anglaise, in which Paul Emery (better known for his Emeryson cars) was also involved. It was due to make its debut at Goodwood on Easter Monday, which is where I photographed it, with Alan Brown at the wheel although Goodwood and Cooper records seem to disagree about who actually raced it that day. Talking to Doug Nye, Alan Brown also mentioned Duncan Hamilton and the De Dion tube falling off when he drove it! Whatever, it was slow and retired from the Richmond Trophy race. As far I can find out, its only other appearance was at Crystal Palace later that year where it seems that Alan Brown was definitely the driver. It failed to leave the grid for its only race and was not seen in this form again. The story goes that the chassis was fitted with a Bristol engine, with the De Dion suspension retained before being sold to Bruce Halford. I wonder where the 1900 engine ended up. Probably under a tarpaulin somewhere to emerge as a “barn find” in 2020 unless the 1900 Register’s Peter Marshall knows better! Tatiana Calderon tests a Sauber-Ferrari again – at Fiorano. In some was it must be good to be one of only a few sports people from your country competing in international sport. Certainly, that seems to have been of benefit to Columbian Tatiana Calderon in gathering enough sponsors, including Telmex, to help her on her way. 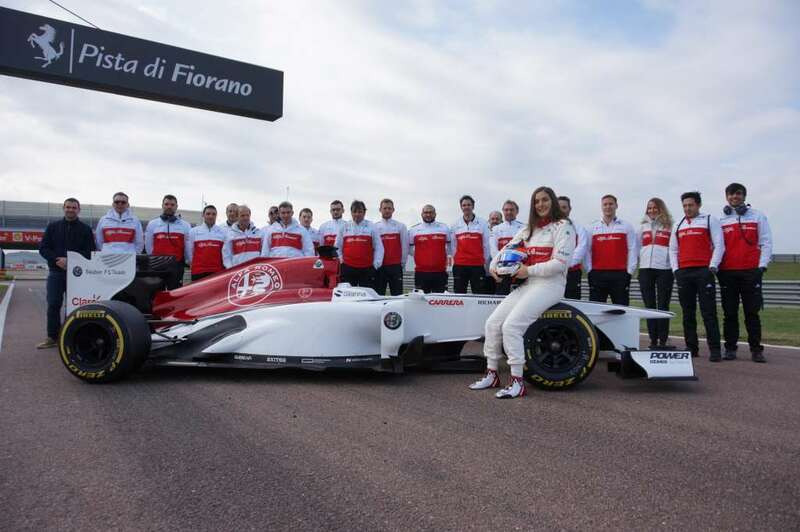 This was shown quite clearly when the Alfa Romeo Sauber team decided to take her and a Ferrari engine Sauber C32 V8 to the Ferrari test track at Fiorano for two days (November 17th/18th). During that time she completed some 590 kms (202 laps of the 2.95 km circuit) in a number of scenarios, including qualifying and race simulations. Her best lap was a 58.802” which was certainly a very respectable time. After that, her GP3 season was completed at Abu Dhabi with one confident 7th place before moving on to Formula 2 testing there with the Sauber affiliated team, Charouz Racing Systems, to finish a fine 6th quickest, a mere 0.377 off the best time. Her next test is with the Formula E DS Techcheetah team at Riyadh after the first round of the 2018/2019 championship. It would appear that some 100 women drivers enrolled for Formula W before the closing date for applications. From those 55 have been chosen by the selection panel, headed by David Coulthard, to take part in a series of tests which will produce a final 18 to contest the Championship with the Alfa Romeo engine Tatuus Regional F3 car in 2019. A full list of the 55 hopefuls can be found on the autosport.com website and shows that they come from a very wide range of disciplines world wide. It is worth taking a look to see what this actually means (log on to autosport.com under “other series”. It was good to see that Oliver Brown, chief sports feature writer of the “Daily Telegraph”, not always known for his positive approach to motor sport, devoted a full page to the series and ended with a thumbs up. For us, the fact that the Tatuus Formula W car will use an Alfa Romeo engine will mean that we will be keeping an eye on it, but who, you might ask are Autotecnica Motori? It is a company set up in 1977 in Casalmaggiore near Cremona to specialise in the production based competition engines. Changes to the structure of the Autotecnica were made in 2008 and it now occupies a very modern 1,000 sq.metres factory with a state-of-the art centre and a further 4,000 sq.metres available for expansion. 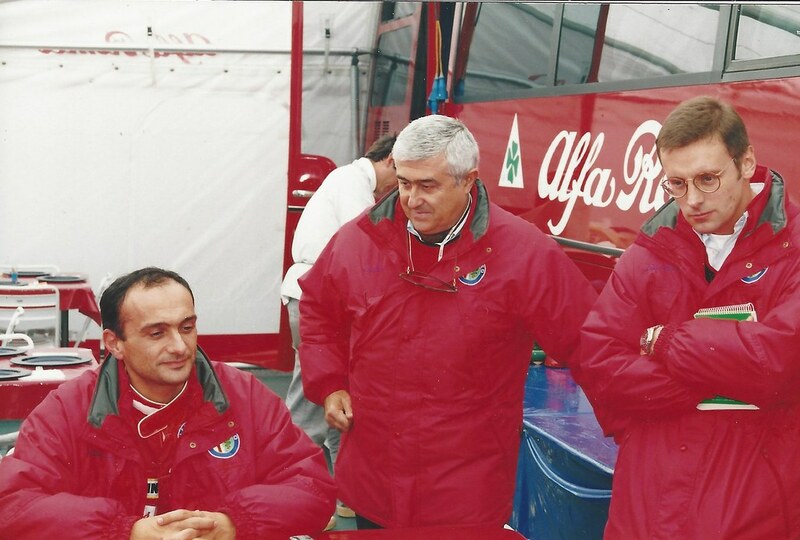 An engine contract with Abarth brought the company into Italian F4 and this was followed by a deal for Asian F3 with Alfa Romeo engines. More recently they have cemented a deal to supply Alfa Romeo based engines for both FIA Regional F3 and Formula W. They also have a very close connection with Tatuus with whom they have formed a close partnership under the name “Eccellenze Motorsport Italia”. I don’t do this very often but I was looking to see if a particular Alfa Romeo book had turned up on Ebay. I was a bit surprised to find among those listed “Romeo and Juliet: A Study Guide” and “Bookend Romeo and Juliet – really for romantics amongst us with Romeo and his guitar under the window”! 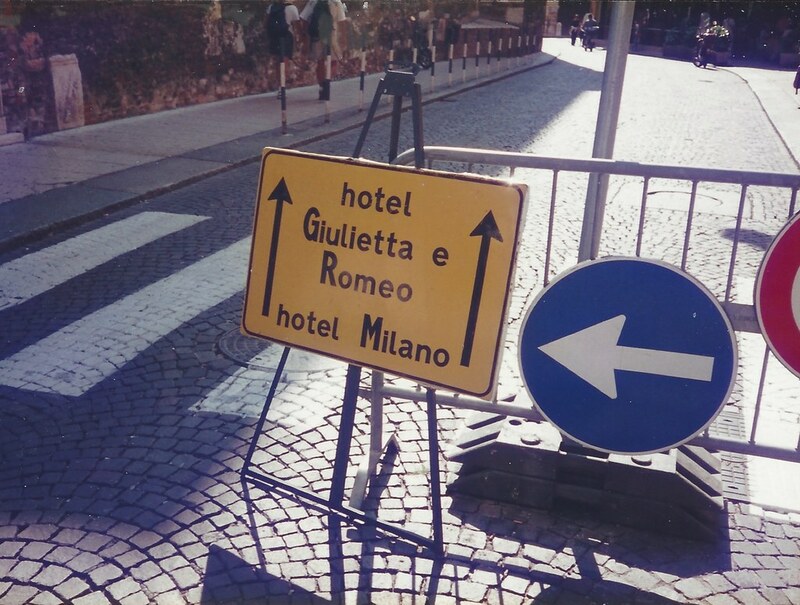 That reminded me of another occasion when, walking through the streets of Verona I came across this road sign.